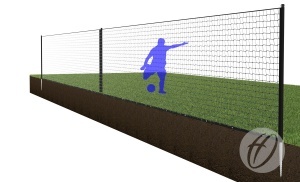 Ideal for professional football training grounds/academies or any venue that have a need for dividing grass pitches. 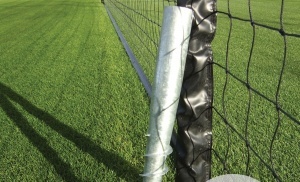 Semi permanent netting system utilising the unique Harrod UK Turf Screw. 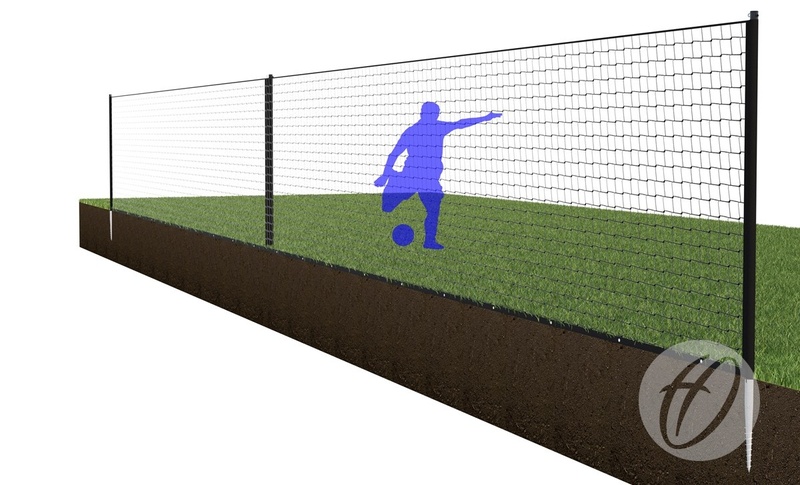 3 uprights manufactured from 50mm aluminium. 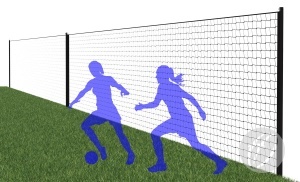 120mm square mesh sleeved netting with bottom band for easy installation. Please see the 'SIZE OPTIONS' tab for all size options and related products available, as well as a list of extras and spares.